The remainder of third round matches were played at the China Open in Beijing on Thursday with the first match of the day yielding another upset. Sorana Cirstea recovered from 2-5 down in the second set and saved four set points to beat the number four seed, Karolina Pliskova in straights, 6-1 7-5. This was not Pliskova’s finest hour who was surprisingly disappointing on serve with just 44% serves in play. In fact, in the opening set, Pliskova didn’t hold serve once or win a point behind her second serve. When the serve’s not there, Pliskova’s game can look rather ordinary and Cirstea played a fine match to score the joint best win of her career – her other win over the world number four came against Jelena Jankovic in Fed Cup action all the way back in 2008. Good win today…looking forward to quarterfinals tomorrow ! Cirstea will play new BFF, Jelena Ostapenko in the quarter-finals. The French Open champ played just three games when her opponent, Peng Shuai retired hurt with the knee injury. Peng has battled tremendously well through the past few weeks but the mummified leg is a concern. Ostapenko and Cirstea have been playing doubles together through Asia and Ostapenko had only kind words for the Romanian player in press. Big smile from Ostapenko when asked about playing dubs partner Cirstea next. Asked SC to pair, has really enjoyed it. “She’s really nice!" Caroline Garcia extended her winning streak to eight with a comprehensive win over Alizé Cornet, 6-2 6-1. It’s wonderful to see Garcia playing with so much confidence and it’s what she will need and then some heading into a quarter-final clash with the number three seed, Elina Svitolina. The Ukrainian player has made it through the draw with three straight set wins. From a break down in both sets and winning 16 of the last 20 points, Svitolina beat Elena Vesnina, 6-2 7-5. If Svitolina beats Garcia, Konta takes the final qualifying spot for Singapore. Halep and Svitolina have a look at No.1 this week. Well hello there, Peak Petra! Petra Kvitova delivered a sensational display to beat Caroline Wozniacki, 6-1 6-4. I thought Kvitova did such a good job on return, taking the ball early and hitting so deep. Wozniacki just could not handle the depth and never adjusted in the first set. The Dane got few looks on Kvitova’s serve with the Czech player going nine for nine of first serve points in the opener. The second set was much closer and was high quality tennis from both players (Kvitova 21W 12UE and Wozniacki 9W 4UE). Wozniacki was much more effective on serve, yet couldn’t take her advantage of her three break point opportunities, which Kvitova swatted away with big serves. Kvitova was so, so sharp with her footwork and was hitting the ball beautifully and into the corners with impressive accuracy. With Wozniacki serving at *4-5, she opened with a cute drop shot and should have gone *30-0 after a great serve down-the-tee set up a short ball – sadly for the Dane, it clipped the net and bounced back her side. Wozniacki didn’t win another point as Kvitova broke for her second top ten win of 2017. The way that Petra can elevate her game against the best is just 👏👏👏. The WTA’s match highlights for Wozniacki vs. Kvitova can be found at the link below. Kvitova will now play Barbora Strycova in the quarters after the Czech player beat Daria Gavrilova, 6-0 6-4. So the Beijing quarters are all set. The first of the quarters at 12:30pm local time will see a Wuhan rematch between Halep and Kasatkina where the latter won surprisingly comfortably last week, 6-2 6-1. After arguably the biggest win of her year over Sharapova and with a day to process it, i’d guess that Halep will make this much more competitive. While Kasatkina has been very solid, she hasn’t taken many risks and been a tad passive. It’s all about finding that balance – if Halep serves well again and plays with the intent she showed against Sharapova then I think she’ll turn the tables. I’m obviously rooting for Dasha though! Ostapenko and Cirstea played at the US Open earlier this year where Ostapenko won in straights. I think there’s a possibility that Ostapenko could be tired and therefore, erratic, but the short match on Thursday will no doubt have worked in her favour. Cirstea’s a match for most on her day. Kvitova and Strycova are up at not before 16:30pm local time for their ninth encounter on tour. Kvitova has won eight of those previous matches with the last five all in straight sets. While it will take something special for Kvitova to replicate her performance against Wozniacki, it’s equally hard to look past her winning in a match-up that she has dominated for many years. The final match of the day is the most intriguing to me with Svitolina taking on Garcia. Their only previous meeting saw Svitolina drop just three games in a Cincy rout in 2015. I’m fascinated to see how a super-confident, Garcia stacks up in this match-up. I’d have to say the same as yesterday that I think this will be a match too far for the Frenchwoman. Svitolina is becoming the ultimate competitor and will also be pretty fresh having skipped Wuhan. And finally, a heads up for anyone planning to go to Stuttgart next year. It’s on my list for sure – perhaps 2019?! 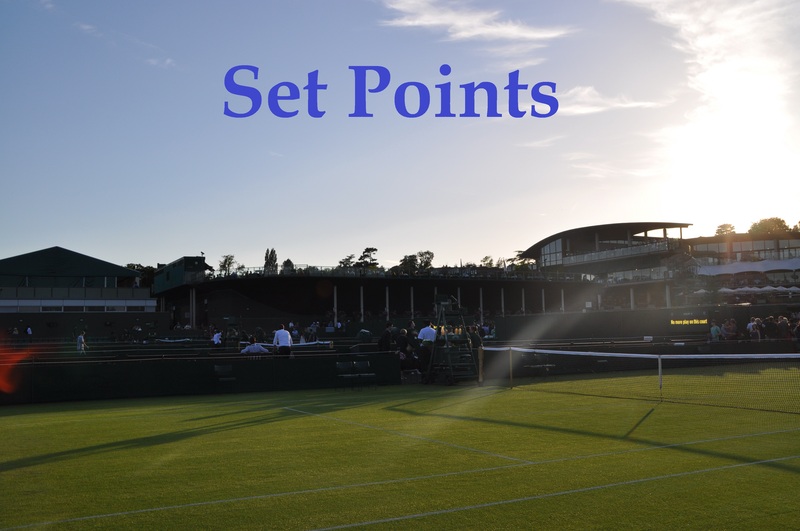 October 5, 2017 in Beijing, Set Points, WTA. Ostapenko and Cirstea being friends is so random but I think Sorana will be a good influence on Jelena. The Romanian can be fiery at times also but she’s very humble and sporting. Going for Halep v Ostapenko and Svitolina v Kvitova for the semis. Elina should be a tough too consistent for Garcia. But Caro definitely has the game to win and I’d love to see her redeem herself against Petra. Most interested by Svitolina-Garcia today, was interested in your thoughts Andrew since you have championed them both! Agree with your SF picks, something to look forward to if that’s the line-up. Well I think Svitolina is a bad matchup for Caro because she’s so solid on the return and usually keeps the balls too deep for Garcia to step in and take chances on short balls. But Svitolina has gotten a tad passive at times this week and if Caro can stay calm and hit with margins then she could overpower her. It’s good to see Sorana playing well again. She was one of the “Xperia Hot Shots” – promising young players whom Sony chose for their promotional show back in 2011 (others included Domi Cibulkova, Heather Watson and Sabine Lisicki) but sadly faded from the scene due to injuries. I also agree with Andrew; it’s nice to see her and Jelena being friends. Obviously, great to see Petra in the quarter-finals too – I can’t see Bara winning their match today (it’d be a first if she did), so she should move up in the rankings – she reached the quarters in Beijing last year too before losing to Madi Keys. Yeah I’ve always really liked Sorana. The problem for her is that she has to throw the kitchen sink at top players and it often doesn’t come together really. +1, I like Sorana too. Ohhh I forgot all about the Xperia Hot shots, a blast from the past! That was a good idea. Fyi Daria Gavrilova is Russian Australian player !